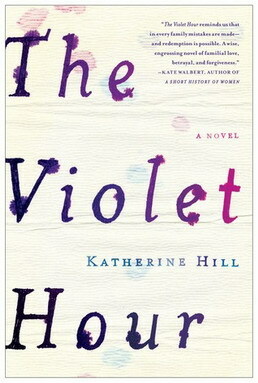 The Violet Hour by Katherine Hill (Scribner; 368 pages; $26). 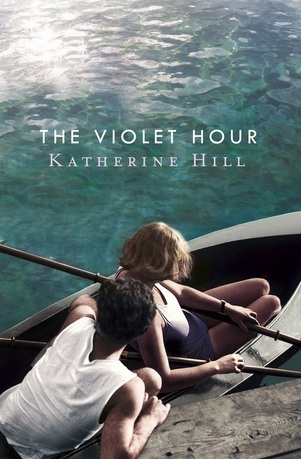 Katherine Hill begins her intimate and utterly beguiling first novel, The Violet Hour, on a boat. This leisure cruise ultimately charts the course of Hill’s novel. Thank you, Katherine, for letting me ask you these questions. The Violet Hour is one of my favorite novels so far of 2013. How did you come up with the story? Thanks so much for having me, Jaime. As is probably the case with many long projects, the roots of this book go way back. In college, I took a literature seminar called “Doomed Love in the Western World.” The course title was delicious and the reading list was even better: Troilus and Criseyde, Antony and Cleopatra, Madame Bovary, Anna Karenina, Tess of the D’Urbervilles, The House of Mirth, The Satanic Verses. We talked a lot about ideals of love, and about the social forces that aim to disrupt or control it. For a long time after, everything else I read seemed to extend the conversation of that class. So when I set out to write my own novel, I had a tradition in mind. I wanted to know what doomed love might look like in contemporary America, a free society that still bears so many invisible chains. Which character did you see or hear first? And in what way? The novel began for me as it begins for every reader, with the very first scene. I had a vision of a family on a boat, struck by a disaster of their own making—sort of a metaphorical shipwreck like the kind that opens The Tempest, one of my favorite of Shakespeare’s plays. I liked the idea of starting with an extreme moment, really an almost impossible situation, and then working my way out of the wreckage. What kind of people would get into a marriage-ending fight in front of their eighteen-year-old daughter? What kind of people would they then become? Abe, Cassandra, and Elizabeth Green were born from that scene and those questions. Your novel features a large cast of characters, and I love the different windows they provide into the story. How difficult was it to juggle everyone? Do you have a favorite? I loved juggling all those perspectives. Just when I thought Abe had nailed some essential truth, Cassandra would sidle up and offer a completely valid counterpoint, which Elizabeth would then revolve once more. They made it pretty impossible to choose a favorite! But I like it that way. Writing from multiple perspectives is simply the best exercise in sympathy. It’s a reminder that so many truths are flexible, and that right and wrong—especially among members of a family—are rarely as simple as we’d like to think. 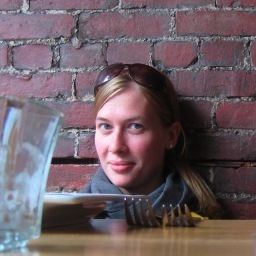 Cassandra grew up over her father’s funeral home, and her father dies on his birthday. Did you want to illustrate how death is always a part of life? I see The Violet Hour as a novel of desire. The book is full of it: desire for love, for success, for freedom, for equanimity. Death is, in many ways, the great counterpoint to desire, which is rooted in the body and which propels us forward in so many ways throughout our lives. But what happens when we leave the body? This is a particular quandary for secular Americans like Abe, Cassandra, and Elizabeth, who feel the preciousness of life but a deep uncertainty as to how to live it. The funeral home setting gave me so much to work with. The death of Cassandra’s father takes place just as Hurricane Katrina ravages the Gulf Coast. You draw such effective parallels. As Cassandra and her family are forever changed by his passing, a nation is forever altered by a mammoth storm and its aftermath. I cannot imagine this story without Katrina, even though this family is far from Katrina’s impact. What led you to put Katrina in your story? Do you think The Violet Hour would have less impact without including the hurricane? You know, I think there is a strong temptation, when writing fiction, to thrust characters into the center of dramatic, historical events. Certainly, many great writers have done it beautifully: Thackeray took us to Waterloo, Claire Messud and Lynne Sharon Schwartz took us to New York City on 9/11. But in this novel I was interested in the ways in which distant witnesses are already thrust into historic events through the news. A catastrophe is understood to be national when it greets us in the morning paper (or these days, on Twitter), and reading about it implicates us all—especially those of us who are fortunate to live in relative comfort and privilege. The situation in this novel gave me an opportunity to explore the experience of loss and guilt on multiple levels: Abe, Cassandra, and Elizabeth are working through a series of acute private griefs at the very moment that the Gulf Coast and the nation are working through a massive public grief. At times their own pains seem small in comparison to the gross injustice of Katrina; at times it’s Katrina that seems small. I think it’s part of fiction’s job to explore this volatility between the personal and the social—the lovely echoes as well as the deeply troubling ones. I love how you emphasize the might of water. For Abe, taking his boat on the bay was his greatest pleasure. Then, you contrast that with the destruction Hurricane Katrina’s floodwaters caused in New Orleans. What made you write this juxtaposition? Was it intentional? Absolutely, water is both alluring and dangerous: an attractive environment for a hobbyist, and a terrible environment for a fight; a source of prosperity for a city, and a force that can bring a city to its knees. I loved playing with that duality in every aspect of The Violet Hour. The very same things we love and need can so often be the things that destroy us. What do you hope readers take with them after reading The Violet Hour? Well, of course I hope (perhaps foolishly) that readers will love these imperfect characters as I do. I also hope they’ll finish the book in a spirit of reflection and maybe even reassessment, which was definitely part of my experience in writing it, and also a huge part of my own pleasure in reading. My favorite novels—by writers like Jennifer Egan, Jonathan Franzen, Aleksandar Hemon, Lorrie Moore, and Zadie Smith—have all urged me to look at myself and the world anew. It would so gratifying to inspire that experience in others. What’s next for you, Katherine? Are you working on anything new? I am! I’m now in the exhilarating, very early stages of a new novel about an American football player. I’m a huge football fan, simultaneously elated and horrified by the sport, so the research has already been tons of fun. 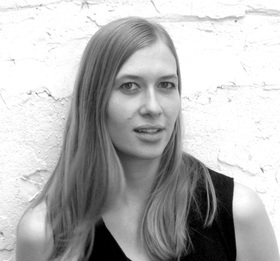 Thanks for the interview, Katherine, and best of luck with the book!